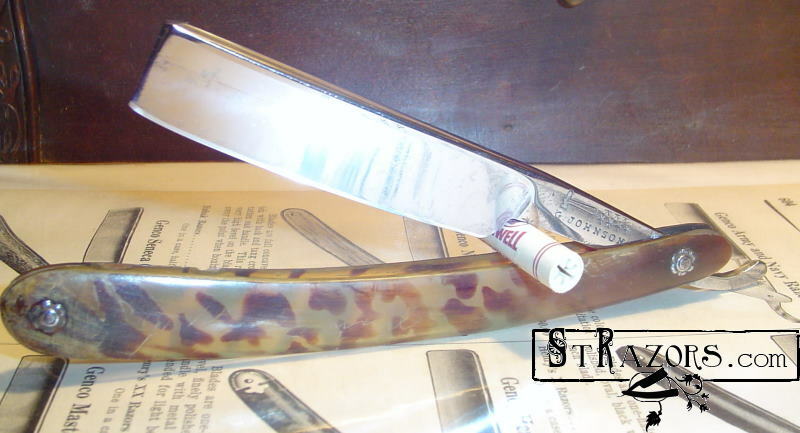 STRAZORS.com - all about classic razors - George Johnson, Sheffield. This company was listed in Furnival St. in 1815 as a maker of desk and pen knives. By 1822, it was manufacturing pen and table knives, razors, and lancets. 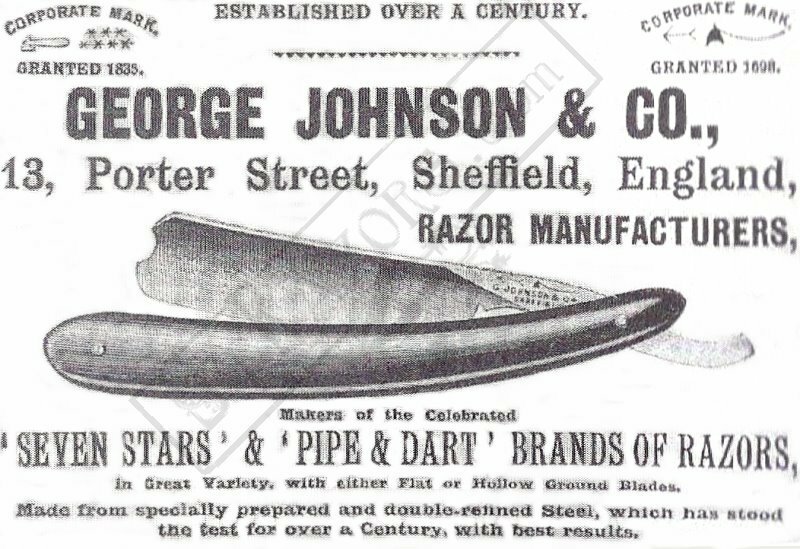 During the late 1820’s and early 1830’s, the enterprise was based in Tudor St.
By 1837, George Johnson & Co. had relocated to Porter Street, from where it continued to sell table knives, razors and lancets over the next four decades. George Johnson died on 5 March 1867, aged 81. His son, George Johnson died on 10 April 1880, aged 61. Another son, Sidney Johnson died 9 January 1887, aged 69. By 1888, the name and mark appear to have been owned by Arthur Lambert (Lambert's Trade Mark), a razor manufacturer. 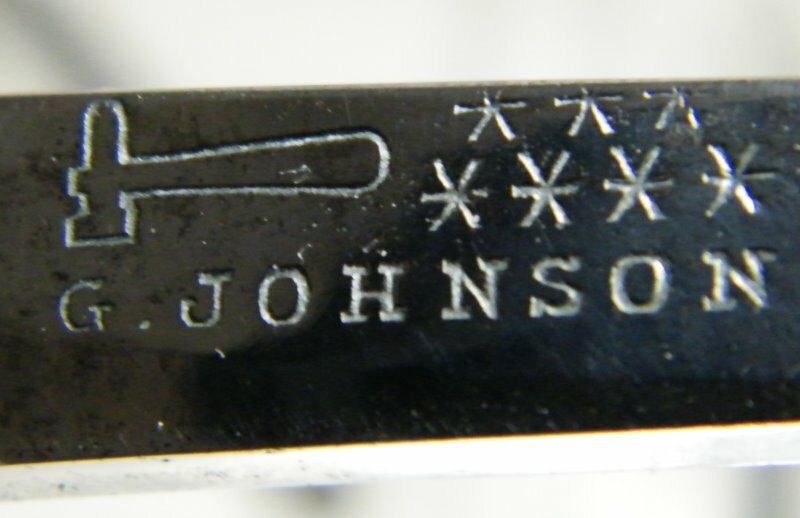 The Johnson marks were seven stars (granted 1835) and a clay pipe with dart device (granted 1698). By 1895, George Johnson & Co. was listed as a razor and cutlery manufacturer in Union Lane and Porter Street; then in 1898 in Norfolk Lane. It disappeared in about 1904.